Today’s dental implants boast a long-term success rate of near 97%. Because implants support surrounding teeth, encourage new tissue growth and continued bone formation, and give patients back their chewing ability and full smile, they have become the industry standard for tooth replacement. 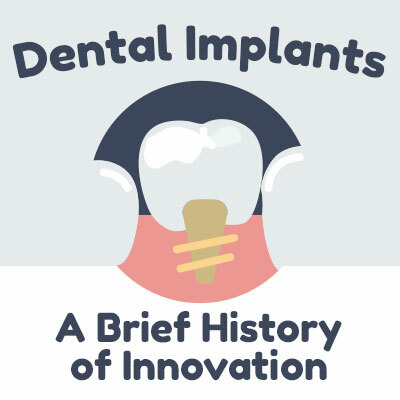 Today, the Las Vegas dentists of Wagner Dental would like to share some interesting history about dental implants and how we got to where we are today. 600 AD: The Mayans attempted the first recorded dental implants, using shells to replace teeth. 800 AD: A stone implant was found among cultural artifacts from early Honduras. 4,000 Years Ago: Carved bamboo pegs were used to replace missing teeth in China. 3,000 Years Ago: The first recorded case of a metal replacement tooth (a copper peg) fixed to a jawbone occurred in the mouth of an Egyptian king. Experts believe it may have been placed after death due to how painful placement would have been to a living person. There is also evidence that the Egyptians tried to stabilize teeth with ligature gold wire around this same era. 2,300 Years Ago: An iron tooth was found among real teeth in a Celtic grave in France. Experts again concurred replacement teeth like these were likely to have been placed after death. 2,000 Years Ago: People replaced missing teeth with human teeth purchased from underprivileged people or teeth stolen from corpses or animals. Teeth like these would be rejected by the host due to infection. 1,350 Years Ago: Archaeologists found evidence that teeth had been replaced by different materials ranging from jade to seashells. In some of those cases, the replacement tooth had actually begun the process of fusion with the jawbone. 18th Century: A European doctor implanted a still-developing tooth into a rooster – and the tooth integrated with the rooster’s tissues. 1886: A porcelain crown mounted on a platinum disc, silver capsules, corrugated porcelain, and iridium tubes were some of the materials to make implants during this time without much success. 1930s: Drs. Alvin and Moses Strock are believed to be the first to place the first endosteal (in the bone) implant made of biocompatible metal. 1940s: A number of different doctors continued to experiment with and design implants made of different types of metal, perfecting the design along the way to allow for greater stability in the jaw. 1952: A Swedish orthopedic surgeon named Branemark discovered titanium fused and regrew bone while studying blood flow in rabbits. 1960s: The 1960s saw more innovations in implant design from many different doctors. Implant design expanded to allow for placement into the maxilla or the mandible and to accommodate more than one missing tooth. 1965: Branemark placed his first titanium implant into a live human volunteer. Branemark continued to research bone healing, performing experiments and publishing studies, eventually making dental implants a commercial endeavor in 1978. 1980s: The 1980s ushered in the use of titanium for implants, which have continued to improve to the present day. Recent developments include antibiotic coatings to prevent infection and even more biocompatible materials like zirconia. Wagner Dental can give you all the information you need about implants as they exist today and everything they can do to bring back your full, healthy smile. 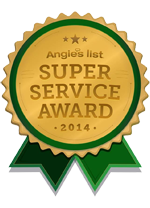 If you are curious to discover more about implants or wonder if you could be an implant candidate, contact us today!